Tim Shorts of Gothridge Manor/GM Games put out The Flayed King as a free PDF to support the Swords & Wizardry Appreciation Day a while back. Tim also kindly offered to post free copies to anyone that asked for one. I think he ended up capping it at 100 copies, but sending out that many all over the world is still beyond generous. I swapped him a copy of Oubliette Issue 9 for one, which arrived today. I've had quick flip through it at lunchtime and think it is a smashing little adventure. It's got a very neat (liftable) idea at its core. Add to that good structure and layout, and some excellent artwork by Jim Magnusson and you're on to a winner. Here's my copy of The Flayed King with similar-sized copy of my own. I hope we get some more zines/adventures produced at this size by other publishers - they look great and are cheaper to post out. 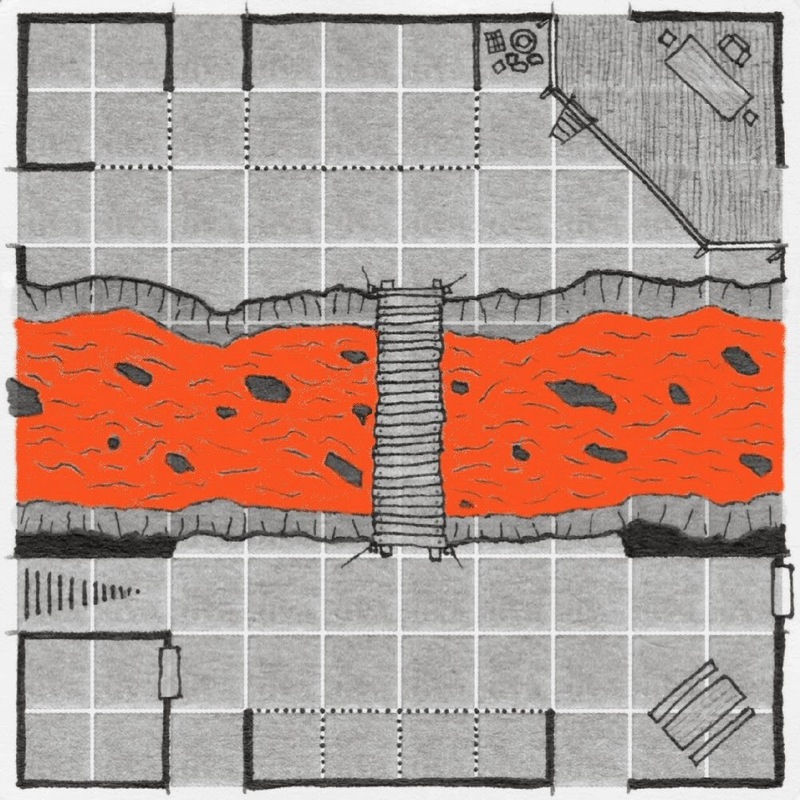 I've finished a lava themed geomorph for the next Inkwell Ideas Geomorph Map Contest. I thought it would be fitting to draw it on one of my new Beermats (currently on Kickstarter). I've retouched it a little after scanning, and quickly added the colour using an airbrush tool. It's as yet untitled, but the idea I was going for was slave traders meeting at a bridge over the lava filled chasm to do business. 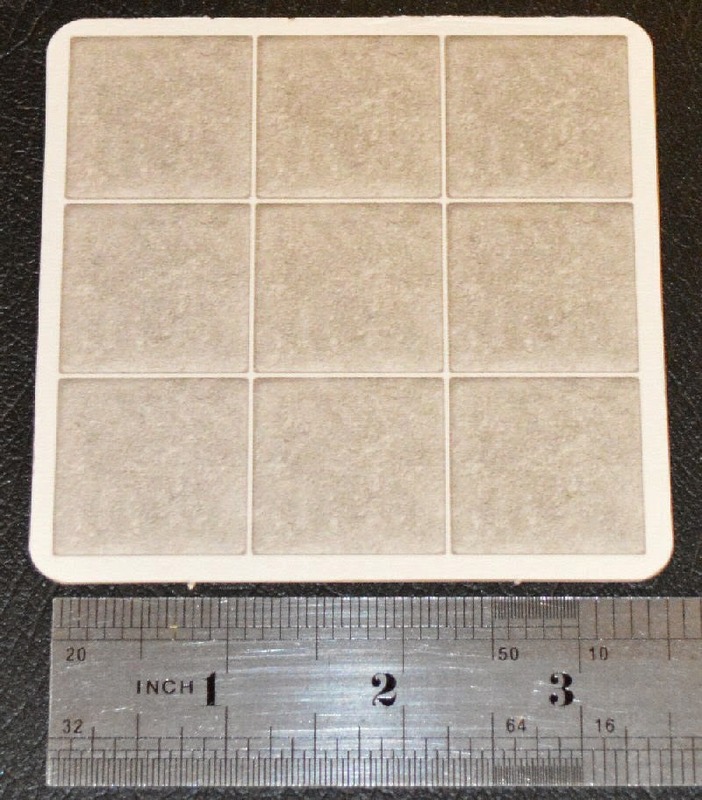 The second image shows a photo of the tile before any retouching. I've had such a great response to my earlier Geomorphic Beermats post, that I thought what the hell and have decided to launch a very short Kickstarter to fund a bigger print-run of them. It only runs for 6 days and finishes on Sunday 2nd May at 10pm. It needs to be short as I want my next planned campaign to be up and running before the end of May so I can promote it at the UK Games Expo. If you have bought, or are considering buying some of the existing Beermat stock from the Squarehex site, you will notice that the prices on the Kickstarter are lower, thanks to the volume discount for a bigger print-run. If the campaign is successful, I will issue partial refunds to anyone buying through Squarehex in advance, thus ensuring that they pay the same total price as the Kickstarter backers. Please help spread the word. I'm off now to drink my last bottle of Hobgoblin! My current appetite for new printing projects continues. 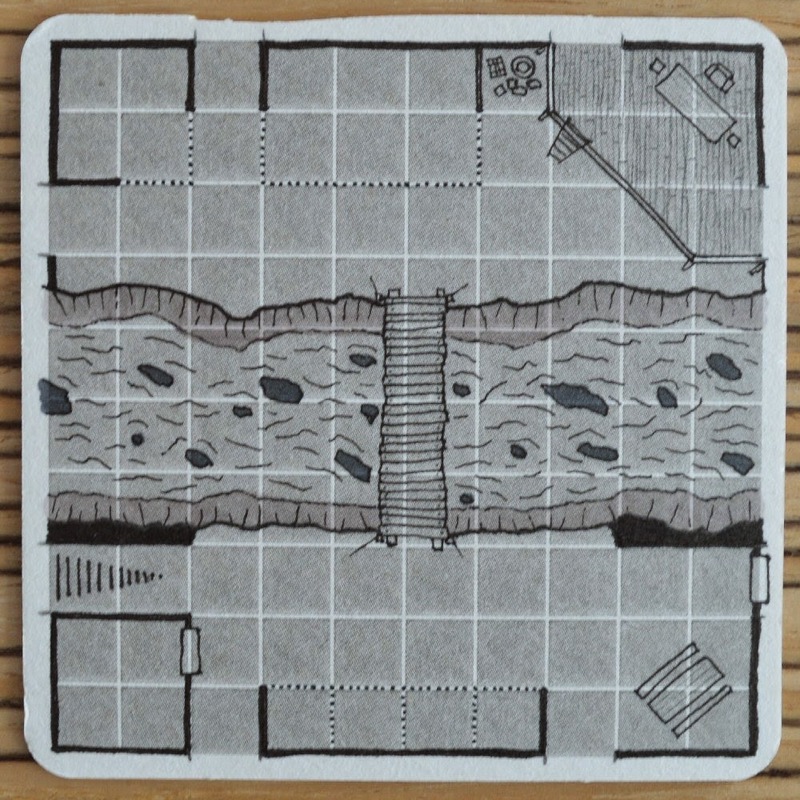 This week I'm unleashing a limited print-run of Geomorphic Beermats. 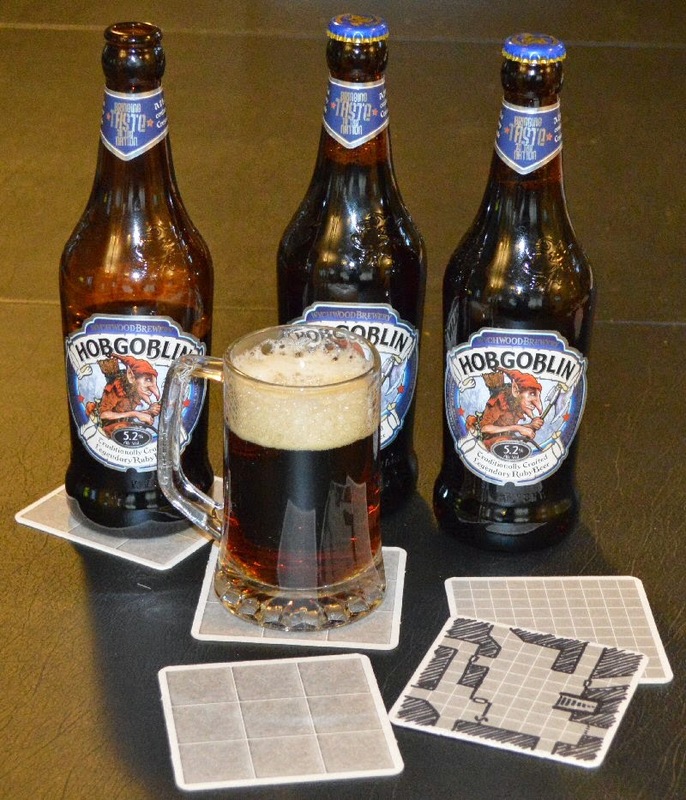 They are real beermats, that I've had printed with grids to make them also great as gaming aids. 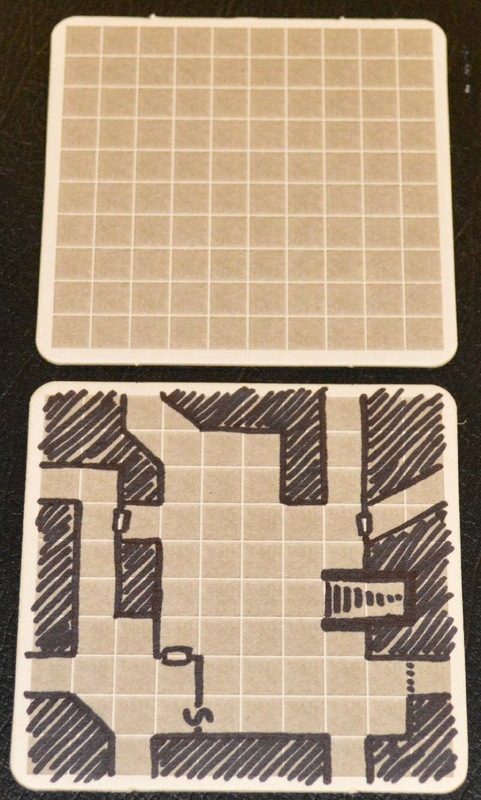 One side is printed with a 10x10 9mm grid, that is perfect for drawing dungeon geomorphs on. 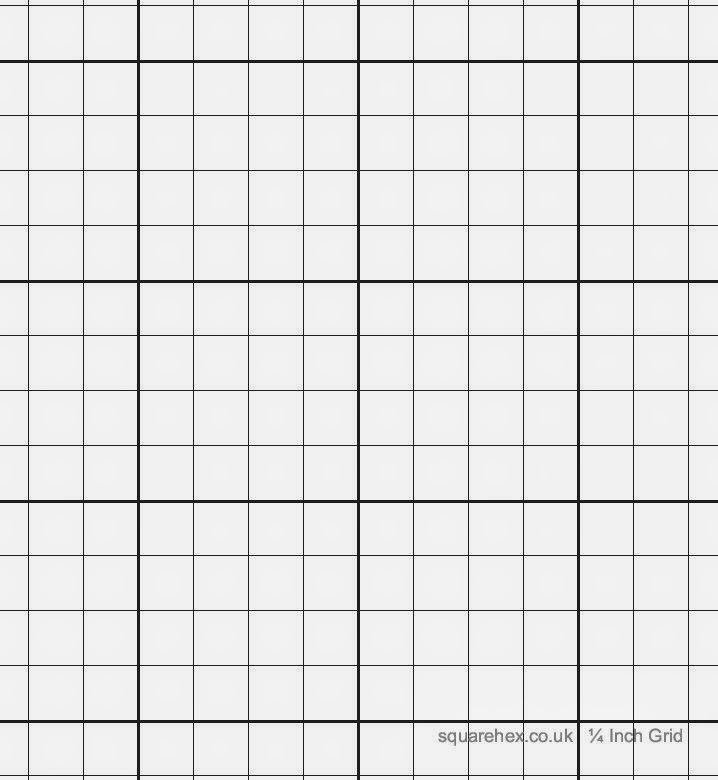 The other side has a 3x3 29mm grid, that is ideal for use with miniatures. The beermats have a 3mm white border. Once trimmed they can be place next to each other for seamless maps and battlemats. 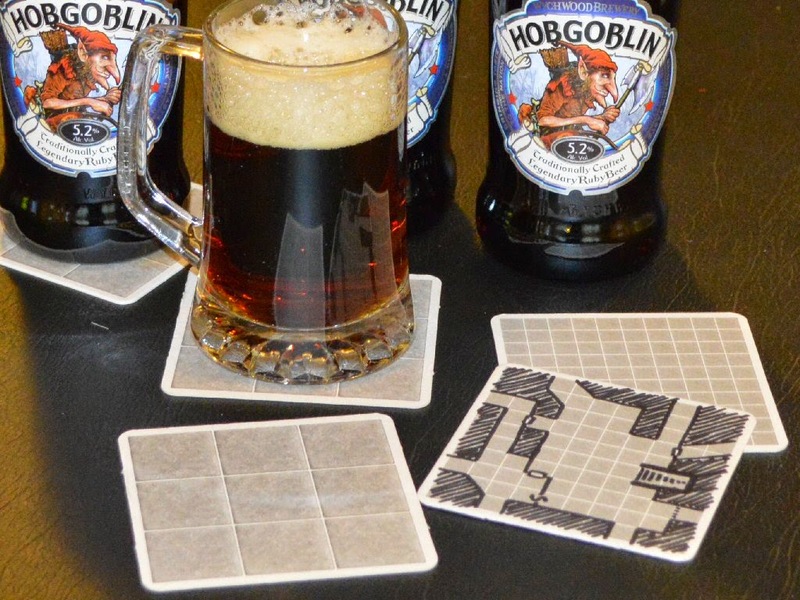 The beermats may also be cut up to make floorplans. The picture of a floorplan at the bottom of the page shows what you can do with just 12 beermats. There are only a limited quantity of these available as this is really just a test. If they are popular then I'll consider doing more. This is just a quick sales update. The PDF sales were very strong for the first couple of days. Then they slowed down pretty much as one would expect, but encouragingly, not before earning a Popular Copper Pick badge. The launch price is good for another 7 days so if you want a copy get one sooner rather than later. Print sales are also good, and I'm now just into my second box of 250 copies. The lion's share of the first box has gone to Mythoard, but that a good thing, as it's a great way to get lots of copies to people across the pond. If you want a print copy the details are here. The best news is that if I add all the above sales to the higher than usual sales of back issues I'm experiencing, Oubliette 9 has already passed it's break even point. That means I can roll the initial cash investment forward, and put it into a similar-sized print-run for Issue 10. 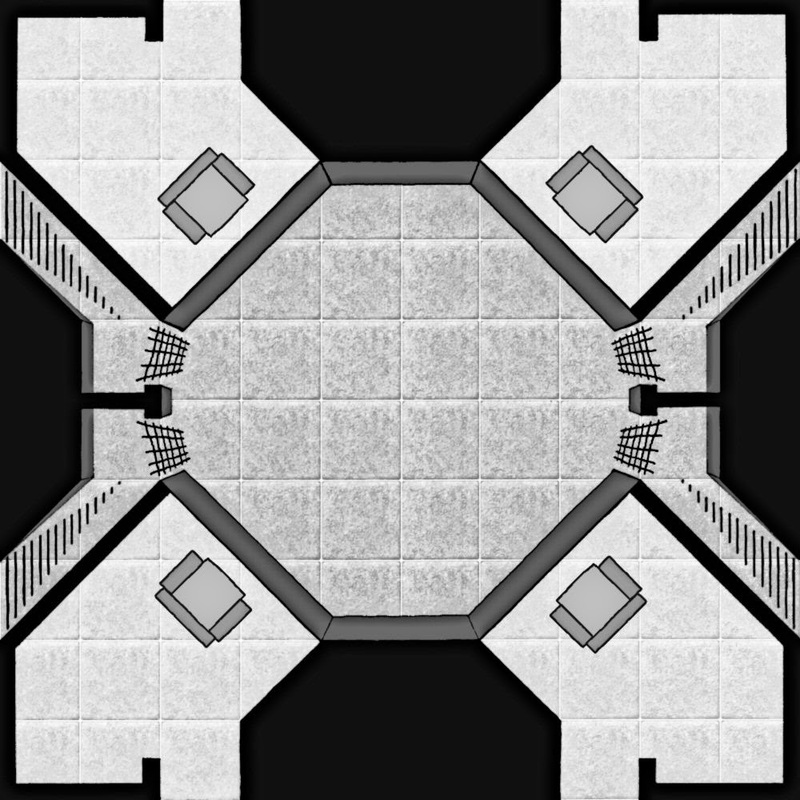 I've just rediscovered a map idea from a few years ago that I'd forgotten about. 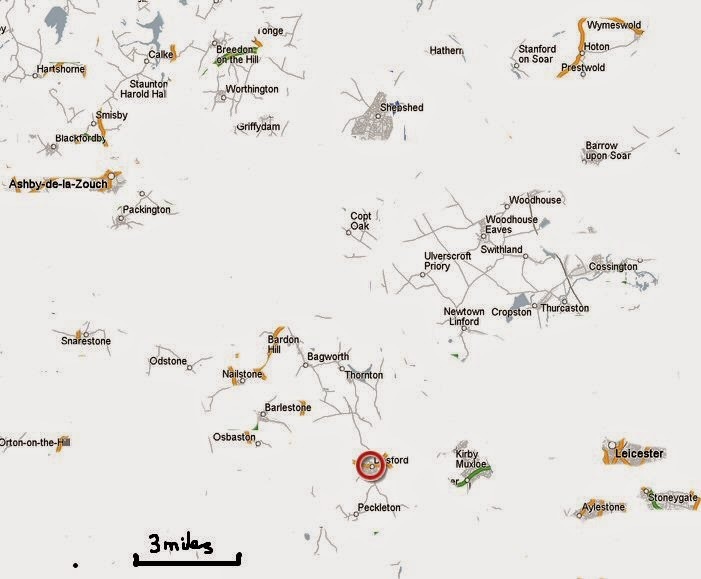 It is a fantasy campaign map centred on the village I live in (Desford, Leicestershire in the UK). 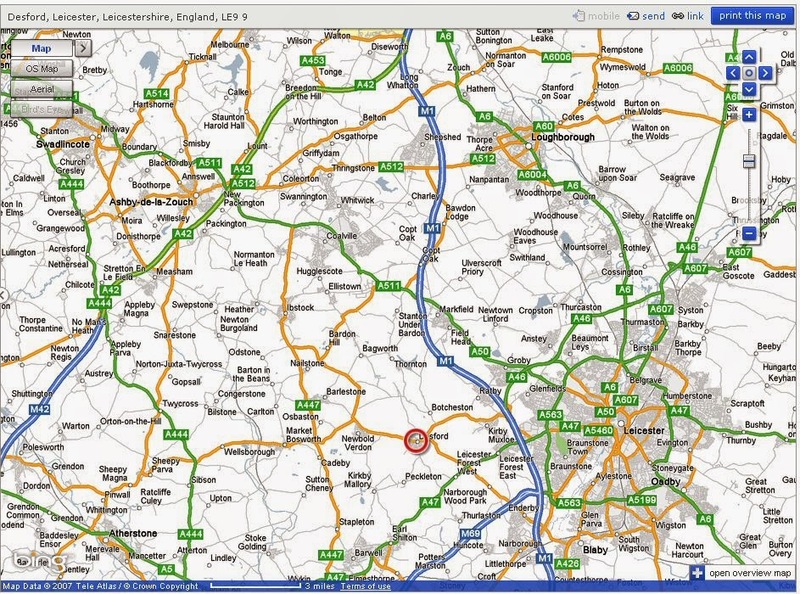 I started with a standard internet map (doesn't look exactly like the current Google map but very similar). Next, I began deleting hundreds of years of development to make the map less crowded. Then I drew in the river, some roads and a forest. That's as far as I got with it, but I think I might do a hand-drawn version of it next, and maybe do some short write-ups. I considered changing some of the place names, but as I've already deleted the ones that I didn't care for, I might just stick with them. Has anyone else given this sort of thing a try? My gaming group also plays a contemporary, post apocalyptic game set in Leicestershire (where we're all from). That game not only uses lots of locations we know well, but also people we remember from our youth as NPCs. I haven't drawn any geomorphs for ages, so a fun competition is a great way to get back in to the habit. Inkwell Ideas is a running a bi-weekly contest full detailsof which may be found here. The theme of the first contest is Geomorphs with thrones. I've drawn one with four thrones called The Four Lords' Fight Club. It might appear as part of an adventure or larger map at some point in the future. 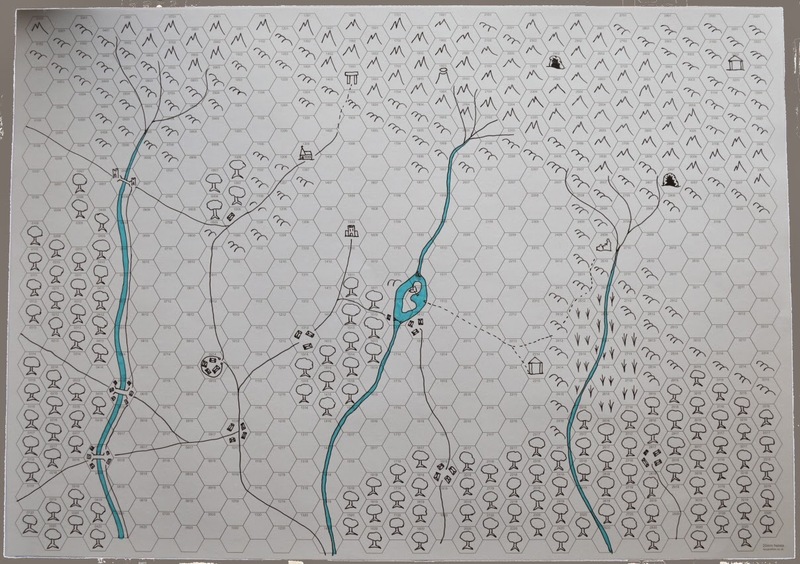 It started as a 10"x10" hand-drawn map using paper from one of my Battlepads so I could make use of the grid and texture. I then scanned it and added small details and used semi opaque fills to lighten and darken sections to help show the split floor levels. 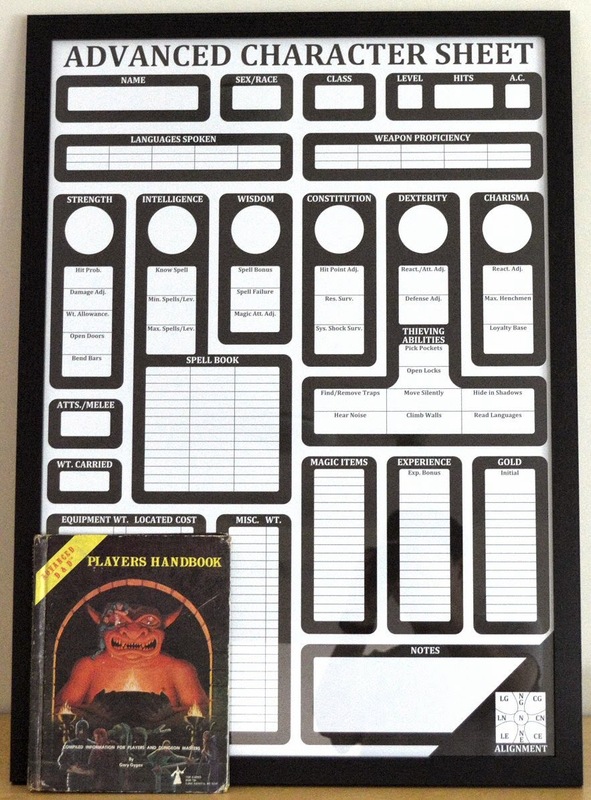 Based on our redesign of the classic 1978 character sheet for the World's Most Popular Fantasy Roleplaying Game. 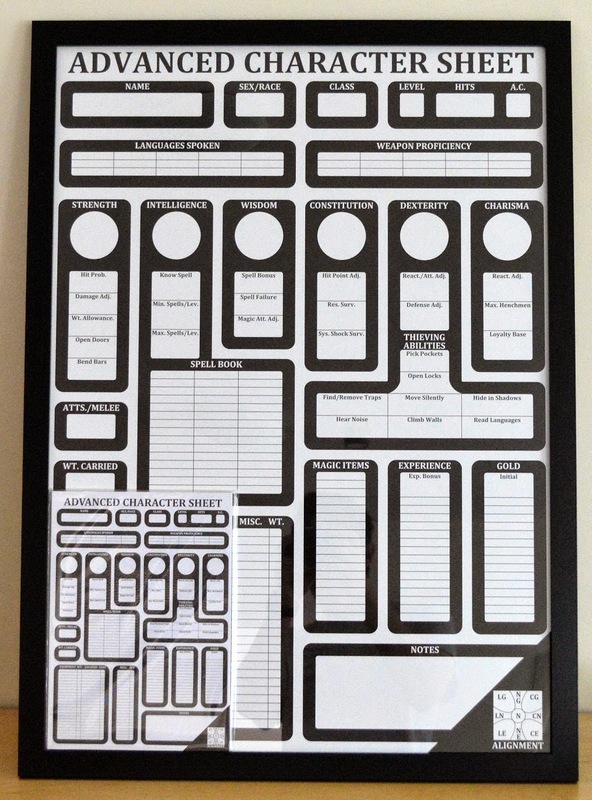 This giant A1 poster (Pad of character sheets and PHB are shown in the photos for scale) looks great on a wall. Enjoy it blank, or immortalize one of your favourite characters on it. The posters are professionally printed on premium 170gsm Silk Art Paper. The paper is coated but may be written on with any Sharpie type permanent marker. 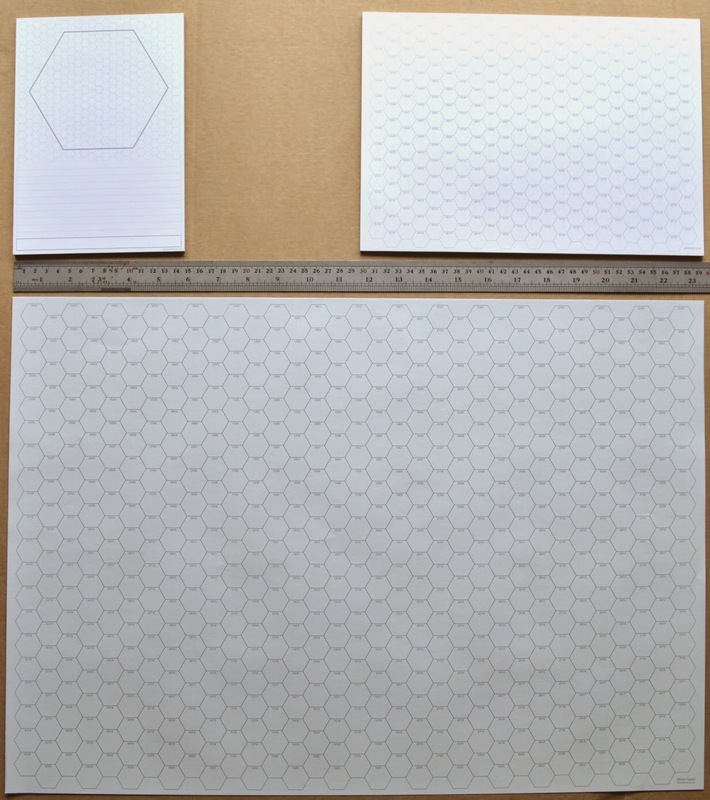 A2 20mm Numbered Hex Sheets Out Now! 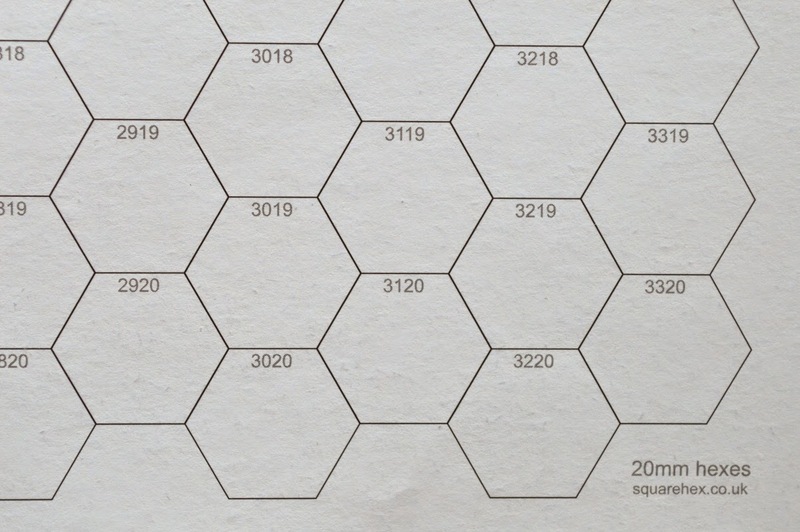 Large, individual sheets printed with numbered hexes. 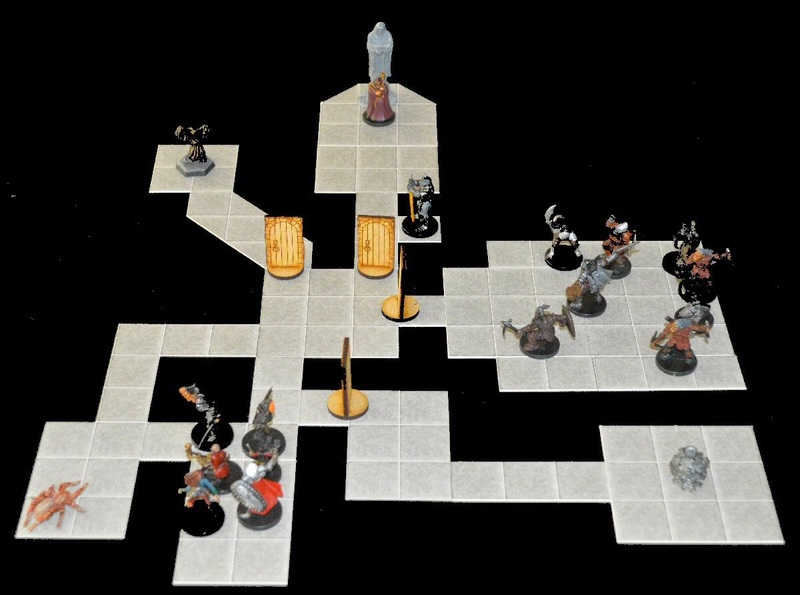 Ideal for creating campaign overview maps. Very limited pre-Kickstarter print-run while stocks last. The smaller A6 format is quite a departure for Oubliette. Another change with the new issue is the move away from print-on-demand to a full print run. My instinct was to go down the DIY route. 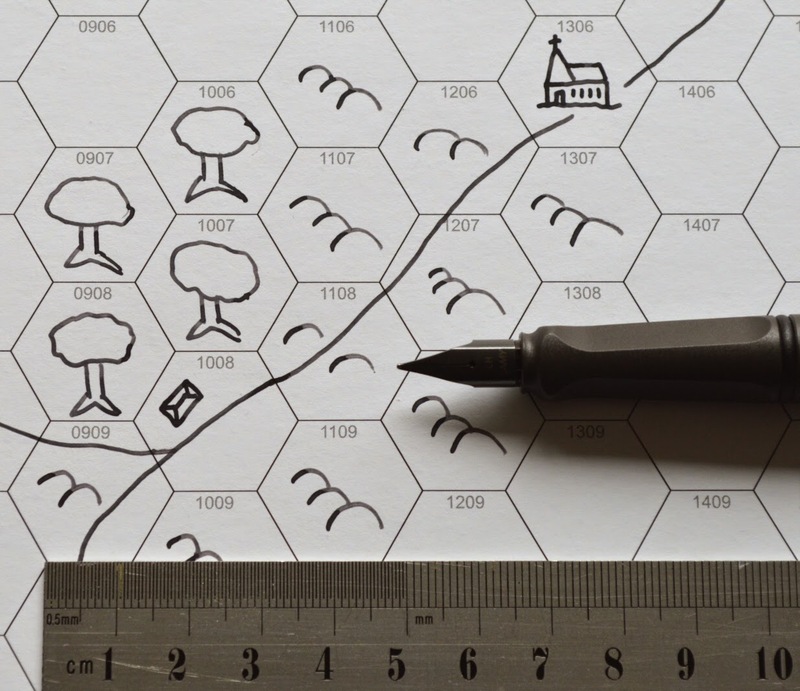 I already have a couple of home-printed zine format publications (Little Hexes and A5 Maps). However, with the added copies required for Mythoard the prospect of making around 300 copies myself was a little daunting. I opted instead to have 1,000 copies printed. That's way more than I expect to use, but the price difference between 500 and 1,000 was so small that I'd rather have double what I think I need than run out. The A6 size was selected as it allows me to post copies out at letter postage rates. The pages still have 250-300 words, which is about the same as some of the A5 zines out there. One advantage of having them printed professionally is that it allows me to use premium silk art paper. This is whiter and improves contrast, making the text crisper, and helping the art to really pop. Postage is the main enemy in the war on costs, but when it came to printing I went for the heaviest stock the printer offered that would still allow the finished item to fit through the tight 5mm letter thickness limit at the Post Office. The pages are 170gsm silk art paper and the cover is 300gsm silk art card. It only added about 10p to the cost price per issue over budget paper options, but it makes a big quality difference. Oubliette Issue 9 Out Now! Oubliette Issue 9 is now available to buy in PDF and in print. Printed copies of the issue may be ordered using the Paypal button below. I've added options for 1,2 and 10 copies so you can grab a copy for a friend or friends. I'm also happy for retailers to pick up 10 copies for resale purposes. Print issues are also available from the Squarehex website and if you enter the code "oub9" you can get a FREE print copy of Issue 9 with any order over £5 in value. After an almost 3 year hiatus, I'm pleased to announce that a new issue of Oubliette is just a week away from publication. Issue 9 will be released on Sunday 12th April in both PDF and print versions. Whilst the new issue retains the characteristic look and feel of past issues, it is now in a smaller, A6 format. This means that the PDF is better suited to viewing on tablets, but more importantly, makes printed editions more viable. 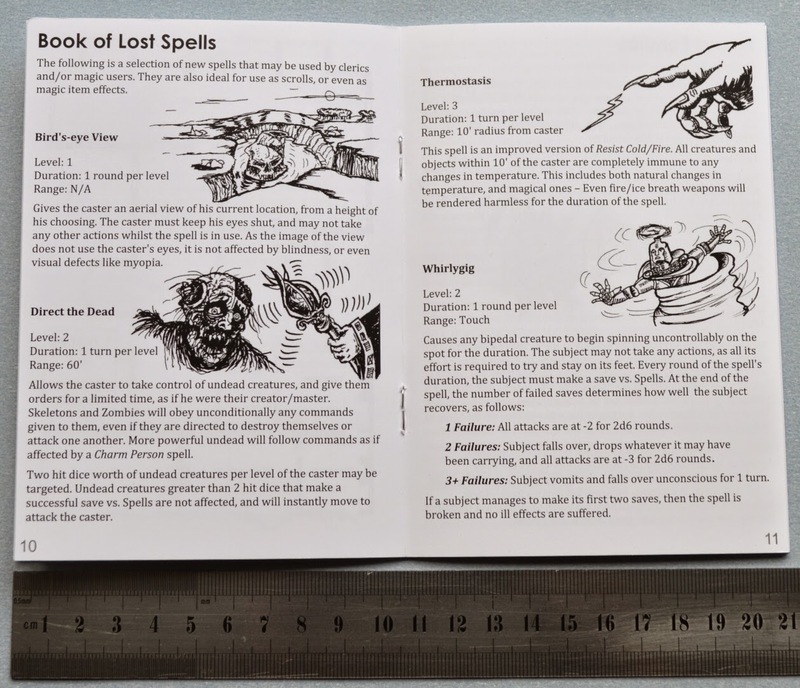 The PDF edition will be available from RPGNow.com at the launch price of $1.00 until the end of April, after that it will be $1.50. 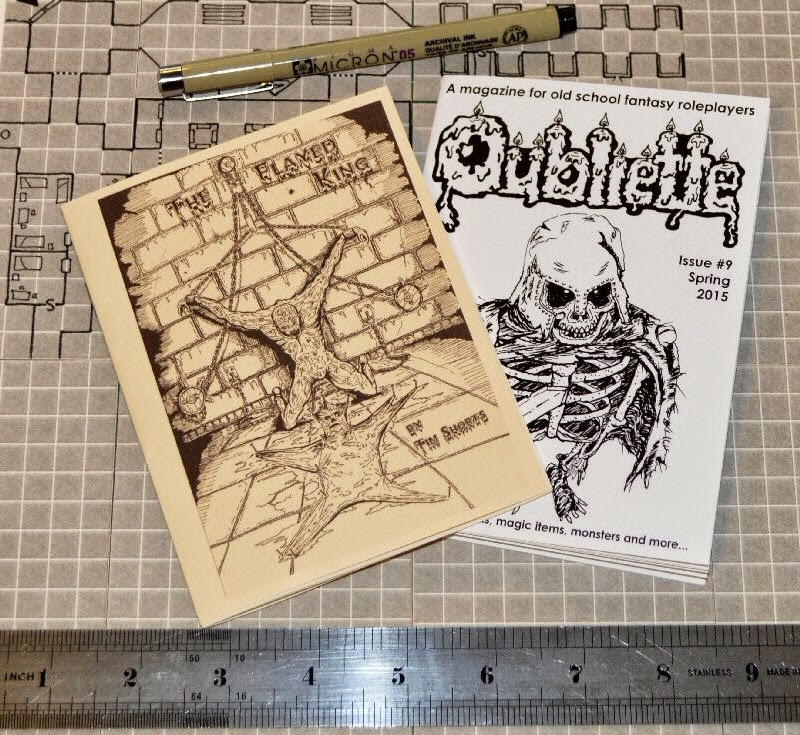 There is also a new bundle option for the 8 back issues of Oubliette which saves over a third on the total separate selling prices. 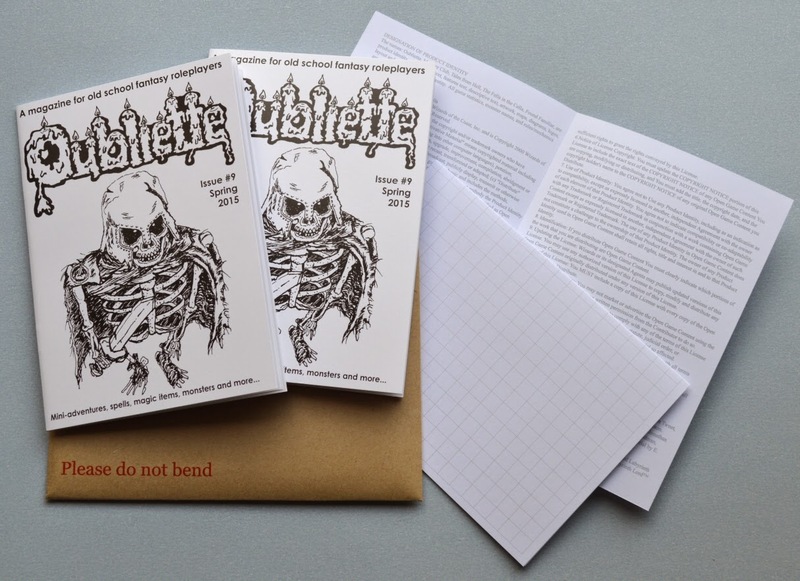 The printed edition of Oubliette Issue 9 will cost £1.50 plus postage. I will add paypal buttons to the blog here, and also add it the Squarehex site. As a bonus I will be releasing a code for a FREE print copy with any Squarehex order over £5.00. 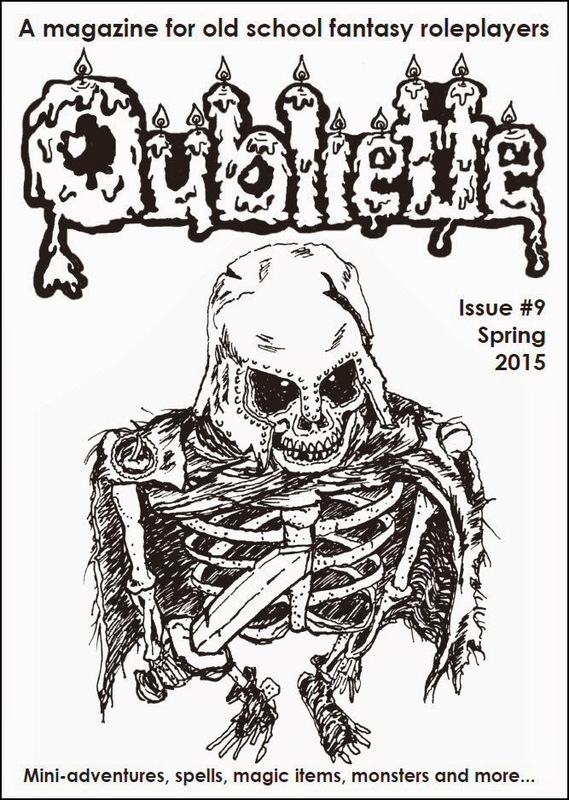 A printed copy of Oubliette Issue 9 will also be included in the April Mythoard.